The Optus 14s Australian Teams Championship continued on Monday, with the boys semifinals decided after the morning’s final round-robin matches. The top four seeded teams – New South Wales, Victoria, South Australia and New Zealand – will play knockout semifinals this afternoon ahead of tomorrow’s final, with the winner to claim the Sproule Stephens Trophy. 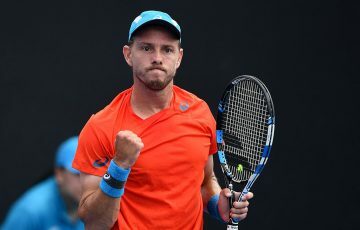 Monday’s play began with Victoria and South Australia already guaranteed positions in the semifinals, having secured their berths before the weekend’s inclement weather hit. 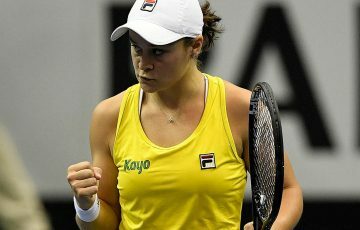 The unseasonable rain had played havoc with scheduling in recent days, with play beginning behind schedule after some matches were abandoned over the weekend and others forced indoors. The weather delays meant that the final round-robin matches in Group A were played this morning, with New South Wales cruising through their group undefeated with a clean sweep over Queensland. The top seeded team, NSW, was led by Jordan Smith and Matthew Tanza, the latter impressively reaching the knockout stage undefeated in both singles and doubles. 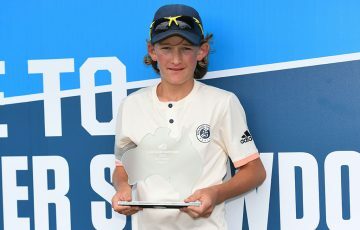 Queensland’s loss meant the New Zealand team would secure a place in the knockout stage with a win over Tasmania, but Harry Bourchier maintained his unbeaten singles record and got the Apple Isle off to a solid start with a win over Alexander Klintcharov. However, the Kiwis rallied to record a 2-points-to-1 tie victory, earning their spot in the knockout tie against second-seeded Victoria. The girls draw, significantly hampered by the recent rain, saw the final round-robin matches take place. Victoria cruised into the semifinals, sweeping past Tasmania with the loss of just one set over three matches. Top seeded Victoria has dropped just two matches en route to the semifinals, the state’s strength highlighted by the presence of a Victoria B team in the draw. Queensland also claimed its first tie of the day undefeated, although not with ease, with the second singles rubber between Lizette Cabrera and Mia Middleton going to three sets and the doubles decided in the third set tie-breaker 10-8. The remaining places in the girls’ semifinals will be decided by this afternoon’s matches. The boys’ final and girls’ semifinals will begin at 9 am on Tuesday at Melbourne Park. 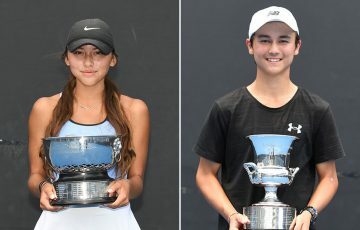 Be sure to check tennis.com.au for all the Optus 14s Australian Teams Championship score updates from the day’s play.